According to the latest UNESCO Global Education Monitoring report, education in Pakistan is still not at a satisfactory level. One reason for the low-level of education which affects the Sindh region in particular is the lack of sanitation and water facilities. Dr Iqbal Hussain Durrani, Secretary at the provincial Education Department, points out that failing to provide the necessary facilities causes about 100,000 students to drop out of school each year. Around 95 percent of the government-run schools at the Sindh coastline do not provide drinking water or washrooms to their students. Despite investigations of schools by a government commission, no improvements have been made so far. It is only in recent weeks that Sindh Chief Minister Murad Ali Shah promised to provide appropriate facilities to 4,000 schools within half a year. The United Nations Educational, Scientific and Cultural Organisation’s Global Education Monitoring (GEM) Report, released today, highlighted the government’s apparent failure to provide high-quality education in Pakistan. Lack of sanitation, level of teachers’ salaries, low levels of spending on education and lack of regulations of health and safety at schools are being counted among the reasons for this. In Sindh, one of the major issues being faced is lack of sanitation and water facilities. One-third of schools in the country have no water or basic sanitation or toilets. Only half of all government schools have usable toilets. Taking notice of this and other issues in the province on December 27, 2016, the Supreme Court constituted a judicial commission to investigate and improve sanitation conditions in Sindh. A lawyer, Shahab Usto, had taken the authorities concerned to the court over non-supply of clean drinking water and sanitation to the masses in the province, where ‘bad’ governance had taken its worst shape. Headed by Justice Muhammad Iqbal Kalhoro, the commission is investigating the failure of the authorities concerned to provide clean drinking water and improve the deteriorating sanitation conditions across the province. 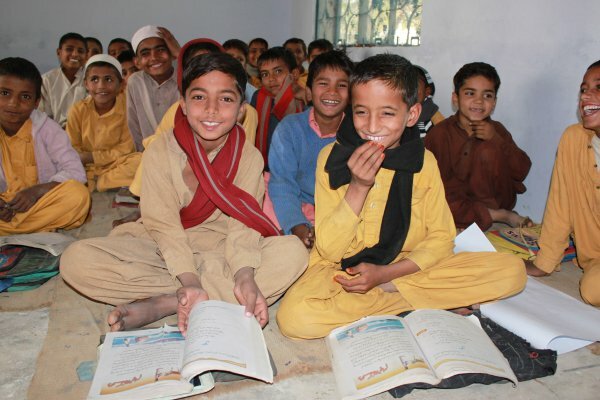 “In Sindh, 100,000 students leave school in the first month every year due to the absence of basic facilities (such as water and sanitation),” admitted the provincial education department’s secretary, Dr Iqbal Hussain Durrani, before the judicial commission on Saturday. The issue arose during judicial commission’s proceedings on September 17 , on the complaint that most of the government schools lacked basic amenities like clean drinking water and sanitation. At some, the water was undrinkable. Therefore, the commission had directed the secretary of the provincial education and literacy department to submit a report on the status of availability of clean potable water and sanitation at the government-run schools and colleges. Filing a preliminary report on the survey, the secretary showed a break-up of schools based on whether water was available or not. He highlighted the agencies responsible for providing water to the schools. However, Durrani admitted that no value addition was done to improve either the quality of water or its availability in the schools by the education department. He said that 4,000 schools had been surveyed so far and assured that facilities like electricity, drinking water, classrooms and washrooms will be provided. He said in the report that it was essentially the job of the public health engineering or the local government department to look into this issue and provide water to the schools and colleges in rural and urban areas. Yet the education department had prepared a comprehensive plan based on two phases to provide all facilities, including drinking water, to the schools, he maintained. The secretary mentioned that all directors of school education had been directed to carry out laboratory tests of drinking water being supplied to the schools. According to a survey conducted by the Pakistan Fisherfolk Forum earlier this year , around 95% of public schools along the Sindh coastline do not have drinking water or washrooms for students. “We conducted the survey in Kharo Chan and Keti Bunder tehsils of Thatta district, where 95% schools lack drinking water facilities,” the forum’s field coordinator Gulab Shah had said. On October 18 , Sindh Chief Minister Murad Ali Shah announced that 4,000 schools would be selected and provided all necessary facilities within the next six months. He had approved Rs6 billion for the project during a meeting with education department officials. In a presentation to the CM, the education secretary had said there were around 4,000 schools in the province that did not have washrooms upon which Shah had commented that he had been listening to reports of missing facilities in schools for years. He directed the school education department to select at least 4,000 schools and provide them all the facilities, including boundary walls, libraries, teachers’ rooms, laboratories, washrooms, drinking water and electricity. Shah directed the provision of solar energy to schools where power connections via electrical poles were not possible.